Photograph of Cheong. Courtesy Wilbraham Monson Academy Archives. The earliest Chinese student on record at MIT was Mon Cham CHEONG 張文湛 pinyin Zhang Wenzhan (1858-ca. 1912, Class of 1883), a native of Guhe village in Xiangshan (now Zhongshan) county, Guangdong (廣東省香山縣古鶴村), located near Macau. Who was he? And why did he come to MIT? Not much is known about Cheong, but we can piece together something of his story from the fragments. Most of the earliest Chinese students in the US, including the "father of Chinese overseas students" -- Yung Wing (Yale Class of 1854) -- had been brought to this country by Christian missionaries. Following these early pioneers, a second cohort came as members of an official Chinese government educational mission launched by Yung in 1872. Cheong, however, was neither a missionary-sponsored nor a government-sponsored student. According to an interview in 1880, Cheong was the son of a "rich man," whose studies were financed by his father in order that he might acquire "a thorough knowledge of mechanics, with a view to its practical use when he goes back." Cheong was thus one of roughly two dozen Chinese youths studying in New England in the 1870s under private means. As with many of the others, Cheong appears to have had links to Yung Wing. Mon Cham Cheong was the second son born to a family of means in the Cantonese village of Guhe. His father was a successful tea and silk merchant, serving as a compradore for Western firms eager for these staples of the China trade. Through trade, the family had connections in Hong Kong and Shanghai, and was exposed to new foreign influences. The family home, built in the 1860s in a graceful architectural style, gives evidence of the family's one-time prosperity. Guhe village on Google maps. Cheong's hometown was not far from Yung Wing's hometown of Nam Ping (Nanpingzhen), just over the border from Macau. This region of southern China, within easy travel of both the Portuguese colony and the British colony of Hong Kong, had long been exposed to Western influences, through trade and missionary activity. It is possible that Cheong may have studied at a missionary school such as the Morrison School where Yung Wing studied in his youth. Like Yung, Cheong came to the US via Hong Kong, and evidence suggests he enrolled at the Monson Academy in Wilbraham, Massachusetts, where Yung had been a student in the 1840s. Cheong was also known to have lived in Hartford in 1874, interacting with Yung's Chinese Educational Mission (CEM) boys stationed there – as did a few other independent scholars who were sons of Yung's friends and associates. Oong Ar-Showe's Tea and Coffee Store. Image source. In the School of Mechanic Arts Student Records, Cheong was listed as a ward of Boston tea merchant, Oong Ar Showe at 25 Union Street in Boston. Oong had come to Boston as early as 1850, married a German American woman, and become a naturalized US citizen in 1860, taking the name "Charles Ar Showe" after his baptism. Another key figure in Cheong's American years was the Boston tea merchant Oong Ar Showe, who served as his guardian while he was at MIT. A native of Chirmee, Guangdong (Canton) and one of the first Chinese in Boston, Oong had come to the city as early as 1850 and was naturalized as a US citizen in 1860. When Cheong enrolled at MIT in 1877, he was listed as Oong's ward, with an address at Union Street in Boston. Oong was likely a friend of Cheong's father, or of Yung Wing, who had also worked in the tea trade in China. Through Oong's influence, Cheong furthermore introduced to Freemasonry, being initiated in 1879 into the Mt. Vernon Lodge where Oong was a member. Cheong's Mason's card listed his residence as Malden, where Oong had moved his family and become a prominent local citizen. 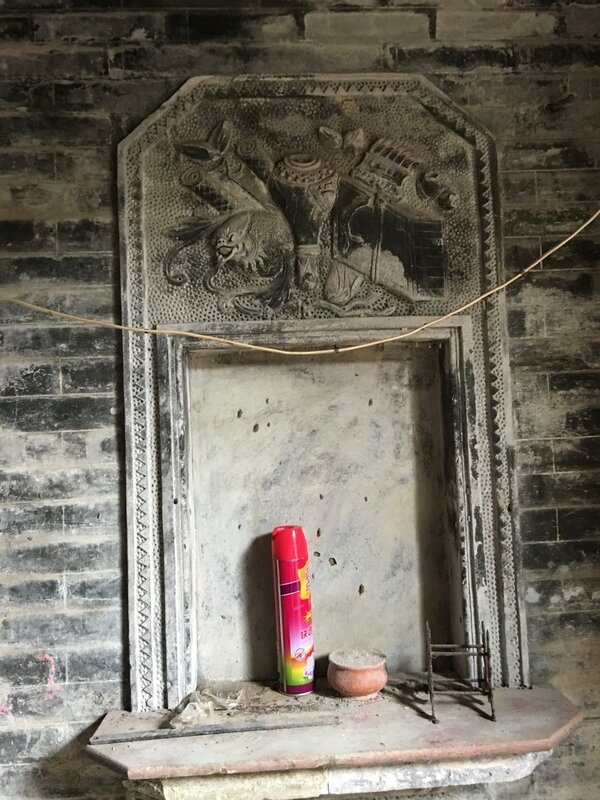 Although the details are sparse, Cheong's story suggests the important role of the Chinese merchant class as "early adopters" in the Chinese overseas education movement, being a group that recognized the value of a Western technical education well ahead of government conservatives. Men of means like Cheong's father took independent initiative and leveraged merchant networks or other personal connections to send their children for an American education. Cheong's father may have known of Yung Wing's CEM and decided to send his son to join these educational pioneers. Cheong first enrolled as a regular student in MIT's School of Mechanic Arts (a two-year program combining theoretical and practical studies, modeled on the Imperial Technical School of Moscow, Russia) in Sept. 1877, with conditional entrance in Reading, Spelling and Geography. The tuition at the time was $125 per year, with additional fees for shop work. Records show that Cheong studied Algebra, Mechanical Drawing, Vice Work, Geometry, Foundry Work and Iron Turning, but left the school after the end of the spring term in 1878. He then enrolled at MIT as a special student studying mechanical engineering. Alumni records show Cheong as a Course II (Mechanical Engineering) student from 1879-1882. During his time at MIT, Cheong lived at various addresses, including 9 Boylston Place and 13 Cortes St. in Boston – MIT dormitories not having been built yet. Although Cheong was the first Chinese student to matriculate at the Institute, he did not receive a degree from MIT. Indeed, the Chinese students would not reach this milestone until 1908. Cheong returned to China in the summer of 1881, with his Mason's card showing his "honorable withdrawal" (dimit) on June 2, 1881. In October 1882, The Tech reported that Cheong was employed by the Chinese government at Hong Kong. In February 1885, The Tech reported that "Col. Cheong Mon Cham" was working as Chief Engineer of Mines, and could be reached at the Hotel Ha Sing Kong, China, care of Wei Yak, Esq. MC Cheong's signature, 1879, Theodore Grover Collection of Autographs and Photographs of Massachusetts Institute of Technology Persons, MC 93. Courtesy Massachusetts Institute of Technology, Institute Archives and Special Collections, Cambridge, Massachusetts. Rollins' information regarding the timing of Cheong's death appears to be incorrect, however. Cheong is known to have authored a colophon to Zheng Guanying's Sequel to Words of Warning in a Flourishing Age, completed ca. 1909. A Xiangshan native like Cheong, and an affine, Zheng was a successful merchant-compradore and renowned reformer of the late Qing, a cofounder of the China Merchants' Steamship Company. The connection with the Zheng family undoubtedly influenced Cheong's conviction in modernization and reform. In his colophon, Cheong praised Zheng's reformist vision, and expressed an ardent hope that China could catch up to Japan in building a strong and prosperous modern nation. MIT alumni records for 1912 show Cheong as deceased. Photograph of YC Kwong, ca. 1878, courtesy of Williston Northampton School Archives. It was in this interview that Harris learned Cheong's father's purpose in sending his son to MIT. Following in the footsteps of this pioneering pair, as more CEM students matriculated at MIT in the next academic year, Chinese students would gain a real presence on campus. Notes: Cheong was not a member of the Chinese Educational Mission (CEM), but according to Edward Rhoads, he associated with the CEM students in Hartford in 1874. See Edward J. M. Rhoads, Stepping Forth into the World: The Chinese Educational Mission to the United States, 1872–81. Hong Kong: Hong Kong University Press, 2011, 107. It appears that Cheong was considered a special student and not a regular Course II student in some of his years at MIT because he was not taking a full course load. The Faculty Records indicate that he had been recommended to take fewer classes, owing to difficulties in some subjects. English, in particular, continued to give him trouble, and this doubtless affected his performance in other subjects. In the academic year 1878-1879, Cheong was listed as a special student, taking math, drawing, English, mechanical engineering, and shop work. In 1879-1880, Cheong was a special student taking mechanical engineering, physics, math, chemistry and drawing. In 1880-1881, Cheong was a special student, taking mechanical engineering, math, and physics. His return to China in the summer of 1881 corresponds with the recall of the CEM. Research contributed by Reed Tang, Tang Hui and Choi Lingfai. Sources: MIT Chinese Students Directory: For the Past Fifty Years, 1931, MIT School of Mechanic Arts Records (AC0499), Student Records, 1876-1881, pp. 38-39. MIT Faculty Records (AC1), volumes 2 (1874-1878) and 3 (1879-1882), MIT Annual Catalogues and Bulletins, 1878-1879, 1879-1880, 1880-1881, 1881-1882, Bulletin of the Massachusetts Institute of Technology, Register of Former Students, volume 50, number 3, May 1915, Technology Review, Volume 16, 1914, 572, The Tech, October 11, 1882, p. 9, The Tech, February 4, 1885, Mon Cham Cheong Mason's card, Mount Vernon Lodge, Massachusetts, Edward J. M. Rhoads, Stepping Forth into the World: The Chinese Educational Mission to the United States, 1872–81. Hong Kong: Hong Kong University Press, 2011, Albany City Directory, 1853, Zheng, Guanying 鄭觀應. Sheng Shi Wei Yan Hou Bian: [15 Juan]. [China: s.n., 1911, Theodore Grover Collection of Autographs and Photographs of Massachusetts Institute of Technology Persons, MC 93. 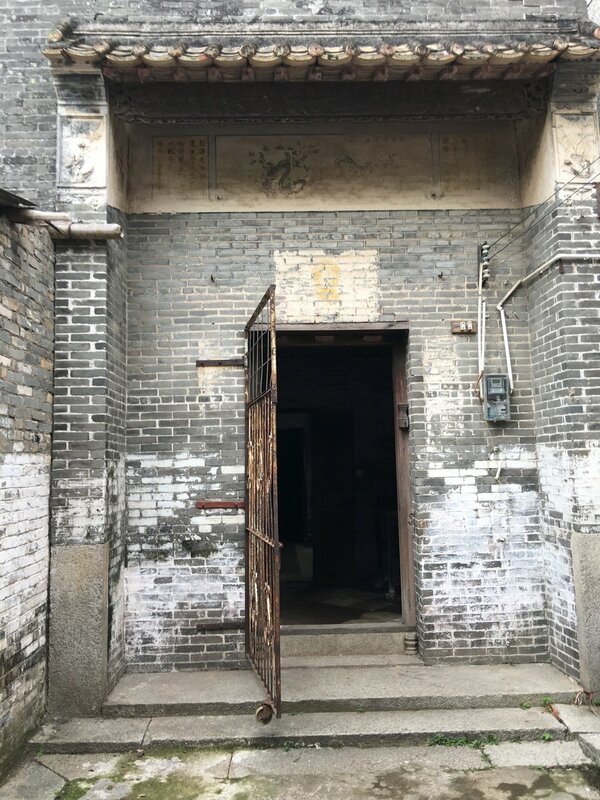 Massachusetts Institute of Technology, Institute Archives and Special Collections, Cambridge, Massachusetts, Amanda B. Harris, "A Chinese Mission School," in Humphrey, Lizbeth Bullock. 1880. Some Curious Schools. Boston: D. Lothrop.